Thank you to all of the sponsors of the 2019 Conference & Expo for helping to make this event possible! Stop by Booth 101 and speak to a Shred-Tech representative. Shred Nations is the shredding industry’s only online marketplace for shredding services, connecting quality READY-TO-BUY customers with professional READY-TO-SERVE shredding providers. With the power of data and personal touch, our service is designed to save you time, money, and hassle by quickly and accurately providing you with pre-screened ready-to-buy customers. We are not shredders. We help shredders grow! Come by Booth #306 and see how Shred Nations can work for you. Record Nations is the records information management industry’s only online marketplace for document management solutions. We instantly connect quality, READY-TO-BUY customers with professional, secure READY-TO-SERVE document management service providers. We are not a document management company! We are a platform to help document management companies grow! Come by Booth #307 to see how Record Nations can work for you. Iron Mountain protects what you value most. With over 65 years of experience, we can handle all your information management needs – from records storage and shredding to data backup and cloud archiving to data centers and more. Our security, privacy, information management, and logistical expertise helps you protect and manage all your information throughout its lifecycle, helping you stay compliant and reduce risk. No matter the size of your organization, we treat your information as if it were our own. Let us help with the every day, so you can focus on the extraordinary. Learn more! Contact Sal Napoli at (978) 795-2789 or at sal.napoli@ironmountain.com. Stop by Booth 233 and speak to a Vecoplan representative. Vecoplan manufactures plant based shredders, shred trucks, and truck unloading containment systems. We offer installation, training, parts and service for all of our equipment. We build Non-CDL and CDL trucks equipped with pierce & tear, or single-shaft rotary shredders. Our single shaft shredders deliver crosscut consistency in one pass and allow you to modify particle size to the highest security levels through inexpensive, quickly and easily changed screens. They shred virtually anything that requires secure destruction, including hard-drives & other e-scrap, credit cards, CDs, DVDs, tapes, film, X-rays, anything made of plastic, as well as textiles, and counterfeit products. Shred-it is a world-leading information security service provided by Stericycle, Inc. Shred-it’s information destruction services ensure the security and integrity of our clients’ private information. Shred-it services protect more than 500,000 global, national and local businesses across 17 countries worldwide… For more information, please visit www.shredit.com. Stericycle, Inc., (Nasdaq: SRCL) is a U.S. based business-to-business services company and leading provider of compliance-based solutions that protect people and brands, promote health and safeguard the environment. Stericycle serves more than one million customers in all 50 U.S. states and 21 countries worldwide with solutions for regulated waste management, secure information destruction, compliance and customer contact. For more information about Stericycle, please visit www.stericycle.com. Stop by Booth 113 and speak to an EZshred representative. EZshred is a simple to learn, yet extremely powerful software system to run your shredding, medical waste, record storage or recycling business. From scheduling and routing using Google maps to invoicing and reporting, EZshred takes care of the details so that you have time to manage and grow your business. Ask about our cutting-edge Android and Apple smartphone apps, and cloud services as well! Stop by Booth 133 and speak to a Jake, Connor & Crew representative. Jake, Connor & Crew is the world’s largest and only direct manufacturer of shred bins and consoles for the document protection industry. Since 1995, our innovative, ergonomic and time-saving options have maximized driver efficiency and consistently outperform the competition in structural integrity, security and durability. Our exclusive line of consoles and bins, as well as our unique range of options and accessories, exceed your customer’s expectations. With innovative options such as our 4-Wheel Pedigree Bin Series, Jake, Connor & Crew is bringing purposed designed products to market as per the industry’s demand. Visit our booth to see how we design and rigorously engineer our products to exceed the quality and security requirements of our industry. No container performs better. Learn more! Contact Will Vasey at (519) 576-9865 or wvasey@jakeconnorandcrew.com. Stop by Booth 211 and speak to a O’Neil representative. The FIRST Choice of Record Centers Worldwide since 1981. Our technology is installed in more than 90 countries/territories, from start-ups to multi-nationals to manage/track multiple types of data, from deposit to destruction. Used extensively by record centers around the world for secure destruction management with scheduling, routing, barcode scanning and invoicing. O’Neil’s cloud-based and on-premises solutions provide an unprecedented level of efficiency and ease of use. A Microsoft® Gold and Zebra®PartnerEmpower™ Value Added Reseller. O’Neil Software provides worldwide coverage, with offices in California, Florida, United Kingdom, and Australia. Our wide range of services and solutions are tailored to meet the needs of local and international businesses, driving cost savings and ensuring compliance in today’s rapidly changing regulatory environment. Stop by Booth 107 and speak to an All Source representative. All Source is North America’s largest distributor of the Defender series line of secure collection carts, consoles and recycling container solutions. For over 15 years, All Source has been committed to providing the highest quality products, leading turnaround times, and superior customer service. With 4 industry leading fulfillment centers in North Carolina, Texas, Arizona and Ontario, All Source provides the fastest turnaround times and excellence in customer experience. K-2 Partners, LLC specializes in providing Mergers & Acquisitions services to the Records and Information Management and Destruction industry by helping industry business owners achieve record valuations when selling their businesses. We each have an average of almost 30 years of senior management RIM industry operating experience and have completed over 250 M&A transactions in the US and worldwide. Our industry background, senior-level relationships, and vast industry deal experience mean that we know the buyers, what the buyers are looking for and we know how to efficiently drive to completion a deal that represents a win for both parties. Most importantly for our clients, we have an unmatched track record of consistently exceeding expectations, irrespective of market conditions. Learn more! Contact Vladimir Vasak at (702) 900-7922 or vvasak@k-2partners.com. Stop by Booth 333 and speak to an Allegheny Shredders representative. Allegheny has come to mean superior equipment, excellent reliability, and innovative solutions for the majority of secure destruction service providers, RIM centers, and e-scrap recyclers. With almost 50 years at the helm of the shredding industry, we have produced the highest-capacity equipment for secure destruction along with the know-how to ensure your success. So whether you need a powerful shredder, cross-shredding system, security grinder, hard drive/e-scrap shredder, horizontal baler, conveyors, tippers, or an auto-feed system, just call us, and ask for our free Buyer’s Guide full of practical information that can help you save literally thousands of dollars! Stop by Booth 207 and speak to a KEITH Mfg representative. The KEITH® Self Unloading System – KEITH® WALKING FLOOR® systems are an integral component within the document destruction industry, both mobile and facility based. Installed in a shred truck, a WALKING FLOOR® system provides a reliable, safe and secure method of transporting and unloading whole or shredded paper. With a load capacity of up to 16 ton, the system stores documents and automatically unloads them once the truck reaches a secure location. Unloading time is under five minutes and no tipping is needed. Stop by Booth 223 and speak to an Andrews Software representative. Stop by Booth 106 and speak with a Babaco Representative! Learn more! Contact Greg Haberat (800) 283-2222 ext. 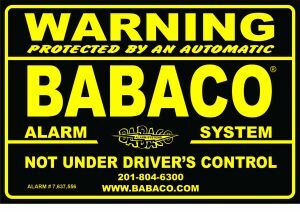 229 or sales@babaco.com. After 25 years in the shredding and records storage industries as an operator, owner, buyer, seller, and broker, Boehringer Capital is uniquely qualified to guide you throughout your journey of growing, positioning and selling your business. Throughout my experience, I have found it important to periodically step back, check the value of an investment, survey the environment, and commit to a revitalized strategy. Together we can determine whether it’s time to test the sales waters or to keep growing. Boehringer Capital will be your advocate and ultimately help you maximize the value of your investment. Stop by Booth 109 and speak to a Compliance Publishing Representative. Stop by Booth 227 and speak to a CSR Privacy Solutions, Inc. Representative! Stop by Booth 201 and speak to a Data Security, Inc. Representative! Learn more! Contact Renee Schafer, CSDS at (402) 434-5959 or rschafer@telesis-inc.com. Is your company interested in being a sponsor for the 2019 Conference presented by NAID and PRISM International? Contact Jamie Hughes, Director of Events & Programs at jhughes@isigmaonline.org or 602-788-6243, ext. 2007.